The Archdiocese of Boston Chapter is an association of the Knights of Columbus Councils of the Archdiocese of Boston in our second century of service to our Church and community having been established in 1902. 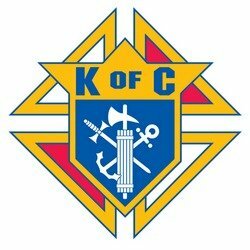 The Knights of Columbus Boston Chapter meets on the last Wednesday of each month at 7:30 pm, usually at the Knights of Columbus Greater Quincy Council # 2259, 5 Hollis Ave, North Quincy. In months that have 5 Wednesdays we meet at various local Councils. If you would like to host a Chapter Meeting at your Council please contact the Chapter at kofcbostonchapter@hotmail.com. See our calendar for information on meetings and events.